Matrox Video offers a family of cutting-edge 4K, HD and SD hardware and software development tools for digital video and audio applications. These products have the reliability and flexibility that OEMs need to build high quality broadcast applications including graphic systems, video servers, channel-in-a-box, contribution and distribution encoders, and non-linear editing systems. Designed for 24/7 on-air reliability, this hardware and software is ideal for mission-critical applications like broadcast automated playout. A Matrox-based solution offers the performance that OEMs demand plus the interoperability that allows it to co-exist in a diverse media environment. Matrox Video products are also used extensively in medical video server applications that require high quality video recording and low latency for outputting pristine picture quality to surgical monitors. 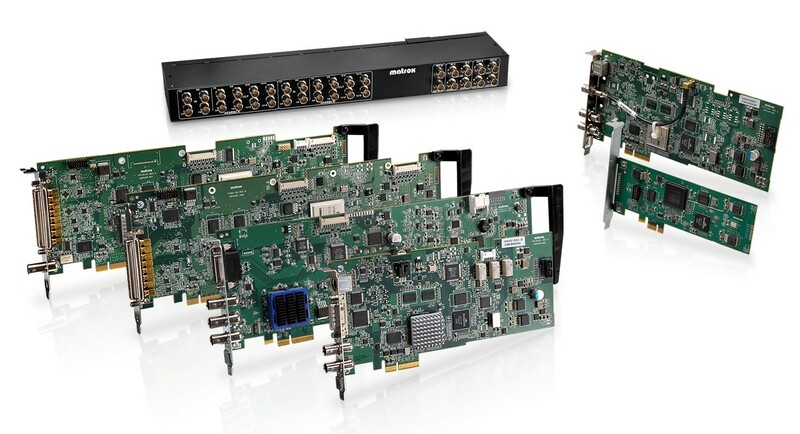 Matrox Video OEM hardware includes a comprehensive selection of high-density video and audio I/O cards that support analog, HDMI/DVI, digital SD/HD/3G SDI and 4K. This PC-based hardware is available in various form factors including low profile cards that can support up to eight reconfigurable SDI inputs and outputs per card. Advanced hardware processing capabilities like multiple motion adaptive de-interlacer, up/down/cross converters, video compositors, audio mixers, frame synchronization and fail-safe capabilities let OEMs build a range of solutions that meet the requirements of diverse markets. Matrox Video also offers hardware based multi-channel 4:2:2 10 bit H.264 encoder for up to 4K resolution with the pristine quality needed for broadcast distribution, contribution, and production applications. Matrox offers more Professional Video Products than those listed here. Uniforce is an authorized distributor of Matrox Video products and can provide you with their high performance products. For more information call Uniforce Sales today (510) 657 – 4000 . We will gladly help you find the right solutions to your Professional Video needs. Multichannel SDI IO in a half-length PCI express card. This card provides up to 12 reconfigurable IOs, from SD to 4K, along with support for AES/EBU, LTC and GPIO to provide for versatile connectivity. Low-profile, half-length PCIe card that offers up to eight reconfigurable SDI I/Os—from SD to 4K. When configured with inputs, the cards are equipped with built-in frame synchronizers to generate clean SDI signals in any environment. Multi-channel 3G/HD/SD SDI I/O hardware for ingest, playout, and live production solutions. All SDI inputs and outputs are independent and provide support for embedded audio and ancillary data. The ¾ length cards feature BNC connectors to simplify wiring. Integrates a hardware HD/SD H.264 encoder with an SDI input and SDI or ASI output. The H.264 encoder provides high-quality, realtime, baseline and main profile encoding at levels up to 4.1. It also supports data rates of up to 25Mbps, as well as CABAC and CAVLC entropy encoding. Quad SDI to HDMI Multiviewer for 3G/HD/SD – Matrox MicroQuad lets you use an affordable HDMI display to view your video signals. Ideal for OB vans, on-set productions and live events, Matrox MicroQuad is a small, easy-to-use device. Simply connect power and up to four SDI inputs, all controls are on the unit itself, no computer is required. Uniforce Sales and Engineering is an authorized distributor of Matrox Digital Solutions products.